Match ends, Morecambe 2(4), Leicester City U21 2(2). Penalty Shootout ends, Morecambe 2(4), Leicester City U21 2(2). Goal! Morecambe 2(4), Leicester City U21 2(2). Adam Campbell (Morecambe) converts the penalty with a right footed shot to the centre of the goal. Goal! Morecambe 2(3), Leicester City U21 2(2). Elliot Osborne (Morecambe) converts the penalty with a right footed shot to the bottom right corner. Goal! Morecambe 2(2), Leicester City U21 2(2). Raúl Uche Rubio (Leicester City U21) converts the penalty with a right footed shot to the bottom left corner. Penalty saved! Josh Gordon (Leicester City U21) fails to capitalise on this great opportunity, right footed shot saved in the bottom left corner. Goal! 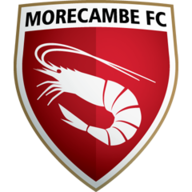 Morecambe 2(2), Leicester City U21 2(1). Sam Lavelle (Morecambe) converts the penalty with a right footed shot to the high centre of the goal. Penalty missed! Bad penalty by Rhys Turner (Morecambe) right footed shot is high and wide to the right. Rhys Turner should be disappointed. Penalty saved! Josh Knight (Leicester City U21) fails to capitalise on this great opportunity, right footed shot saved in the bottom left corner. Goal! Morecambe 2(1), Leicester City U21 2(1). 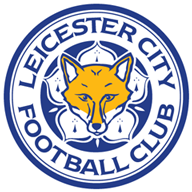 Hamza Choudhury (Leicester City U21) converts the penalty with a right footed shot to the bottom right corner. Goal! Morecambe 2(1), Leicester City U21 2. Michael Rose (Morecambe) converts the penalty with a left footed shot to the bottom right corner. Penalty Shootout begins Morecambe 2, Leicester City U21 2. Second Half ends, Morecambe 2, Leicester City U21 2. Steven Old (Morecambe) wins a free kick in the defensive half. Foul by Raúl Uche Rubio (Leicester City U21). Attempt missed. Raúl Uche Rubio (Leicester City U21) left footed shot from more than 35 yards is close, but misses to the right. Corner, Morecambe. Conceded by Josh Knight. Goal! Morecambe 2, Leicester City U21 2. Elliot Osborne (Morecambe) header from the right side of the six yard box to the high centre of the goal. Assisted by Aaron McGowan with a cross. Attempt missed. Josh Gordon (Leicester City U21) right footed shot from outside the box is high and wide to the right. Josh Gordon (Leicester City U21) wins a free kick in the attacking half. Substitution, Leicester City U21. Calvin Ughelumba replaces Josh Felix-Eppiah. Attempt missed. Tyrese Shade (Leicester City U21) right footed shot from outside the box is close, but misses the top right corner. Attempt blocked. Vadaine Oliver (Morecambe) right footed shot from the centre of the box is blocked. Goal! Morecambe 1, Leicester City U21 2. Josh Knight (Leicester City U21) header from the centre of the box to the centre of the goal. Assisted by Kieran Dewsbury-Hall with a cross following a corner. Corner, Leicester City U21. Conceded by Sam Lavelle. Attempt missed. Steven Yawson (Morecambe) right footed shot from the centre of the box is close, but misses to the right. Substitution, Morecambe. Aaron McGowan replaces Luke Conlan because of an injury. Attempt saved. Josh Felix-Eppiah (Leicester City U21) header from the centre of the box is saved in the centre of the goal. Foul by Sam Lavelle (Morecambe). Josh Felix-Eppiah (Leicester City U21) wins a free kick on the left wing. Attempt blocked. Rhys Turner (Morecambe) right footed shot from the centre of the box is blocked. Attempt blocked. Adam Campbell (Morecambe) right footed shot from the centre of the box is blocked. Attempt missed. Raúl Uche Rubio (Leicester City U21) right footed shot from outside the box is close, but misses the top right corner. Attempt blocked. Josh Felix-Eppiah (Leicester City U21) right footed shot from the centre of the box is blocked. Substitution, Morecambe. Steven Yawson replaces Andrew Fleming. Foul by Michael Rose (Morecambe). Raúl Uche Rubio (Leicester City U21) wins a free kick in the defensive half. Substitution, Leicester City U21. Raúl Uche Rubio replaces Lamine Sherif. Adam Campbell (Morecambe) wins a free kick in the attacking half. Foul by Darnell Johnson (Leicester City U21). Attempt saved. Michael Rose (Morecambe) right footed shot from outside the box is saved in the top right corner. Substitution, Morecambe. Rhys Turner replaces Garry Thompson. Attempt missed. Kieran Dewsbury-Hall (Leicester City U21) left footed shot from outside the box is close, but misses to the right following a fast break. Attempt blocked. Vadaine Oliver (Morecambe) right footed shot from outside the box is blocked. Mitchell Lund (Morecambe) wins a free kick on the left wing. Foul by Josh Felix-Eppiah (Leicester City U21). Corner, Leicester City U21. Conceded by Steven Old. Attempt blocked. Josh Felix-Eppiah (Leicester City U21) left footed shot from outside the box is blocked. Attempt saved. Garry Thompson (Morecambe) right footed shot from outside the box is saved in the bottom left corner. Attempt saved. Josh Felix-Eppiah (Leicester City U21) left footed shot from the centre of the box is saved in the bottom left corner. Substitution, Leicester City U21. Tyrese Shade replaces Layton Ndukwu. Layton Ndukwu (Leicester City U21) wins a free kick in the defensive half. Attempt saved. Andrew Fleming (Morecambe) left footed shot from outside the box is saved in the centre of the goal. Elliot Osborne (Morecambe) wins a free kick in the defensive half. Foul by Josh Gordon (Leicester City U21). Attempt missed. Josh Felix-Eppiah (Leicester City U21) left footed shot from outside the box is close, but misses to the left. Hamza Choudhury (Leicester City U21) wins a free kick in the attacking half. Attempt saved. Adam Campbell (Morecambe) header from the centre of the box is saved in the centre of the goal. Delay in match Vadaine Oliver (Morecambe) because of an injury. Corner, Morecambe. Conceded by Darnell Johnson. Second Half begins Morecambe 1, Leicester City U21 1. First Half ends, Morecambe 1, Leicester City U21 1. Attempt saved. Josh Knight (Leicester City U21) right footed shot from the centre of the box is saved in the centre of the goal. Hamza Choudhury (Leicester City U21) wins a free kick in the defensive half. Foul by Sam Hughes (Leicester City U21). Elliot Osborne (Morecambe) wins a free kick in the attacking half. Foul by Lamine Sherif (Leicester City U21). Attempt missed. Lamine Sherif (Leicester City U21) right footed shot from outside the box is just a bit too high. Attempt missed. Garry Thompson (Morecambe) right footed shot from outside the box is close, but misses the top right corner. Corner, Morecambe. Conceded by Kieran Dewsbury-Hall. Vadaine Oliver (Morecambe) wins a free kick in the attacking half. Kieran Dewsbury-Hall (Leicester City U21) wins a free kick in the defensive half. Goal! Morecambe 1, Leicester City U21 1. Layton Ndukwu (Leicester City U21) from a free kick with a left footed shot to the bottom left corner. Sam Hughes (Leicester City U21) wins a free kick in the attacking half. Foul by Hamza Choudhury (Leicester City U21). Attempt missed. Mitchell Lund (Morecambe) right footed shot from outside the box is just a bit too high. Luke Conlan (Morecambe) wins a free kick on the left wing. Darnell Johnson (Leicester City U21) wins a free kick in the attacking half. Josh Felix-Eppiah (Leicester City U21) wins a free kick in the defensive half. Foul by Adam Campbell (Morecambe). Goal! Morecambe 1, Leicester City U21 0. Garry Thompson (Morecambe) right footed shot from the centre of the box to the centre of the goal. Assisted by Vadaine Oliver. Attempt missed. Darnell Johnson (Leicester City U21) header from the centre of the box is close, but misses the top left corner following a corner. Attempt saved. Josh Gordon (Leicester City U21) right footed shot from the centre of the box is saved in the bottom right corner. Corner, Leicester City U21. Conceded by Danijel Nizic. Attempt missed. Elliot Osborne (Morecambe) right footed shot from the left side of the box is close, but misses to the left.